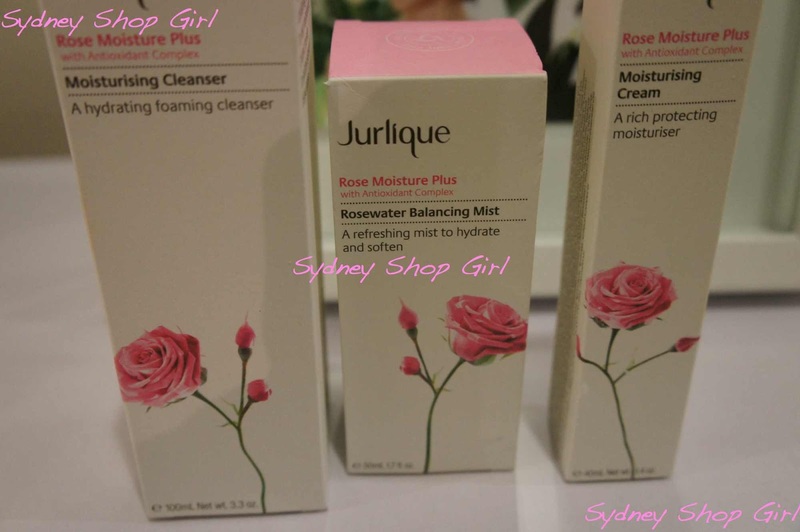 Sydney Shop Girl: Coming Up Roses With Jurlique's Relaunch. Products from the Rose Moisture Plus range. 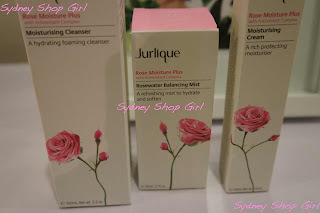 Jurlique recently relaunched their skin care range with new packaging and formulations and I was invited to review a range of products from the Rose Moisture Plus and Purely Age Defying lines. The brand was first lunched in 1985 with the aim of combining science and the benefits of nature to produce high quality skincare. The products continue to be made in Australia using botanicals from their own farms around Mt Barker in South Australia. 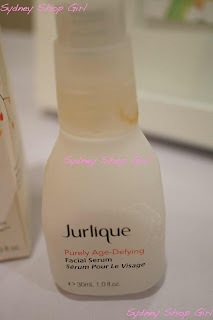 Purely Age Defying Facial Serum. Many of the ingredients are certified biodynamic by the National Association of Sustainable Agriculture, Australia. In addition to the more familiar ingredients like roses and chamomile, Jurlique also use native Australian flowers and super fruits in their products. Just flicking through the glossy magazines recently, I noticed that many of the products I'm reviewing today made it past the beauty editor's desk and onto the pages of the magazine. So, even some of the most discerning skins in Australia have taken notice. 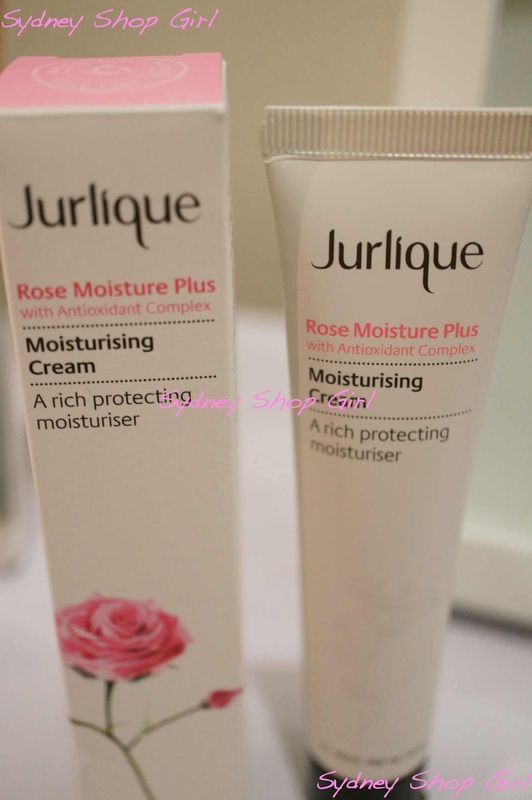 Product details, Rose Moisture Plus Moisturising Cream. the packaging is sturdy, easy to read with instructions for use of each product clearly written on the back of each tube or bottle. The serums and facial mists are packaged in a thick glass. price wise, I'd place these as just heading into prestige brand territory. A cleanser costs $24 and moisturiser around $52. Something else to consider is the size of each product. The cleanser is 100ml and the cream 40ml. Full details of cost and product size are listed on the Jurlique website I linked to and online shopping is also available. There is currently an offer of free shipping on orders over $100. the scent is my favourite feature of the products I tested. The rose scent is rich and true without being cloying. As a novice beauty blogger, my testing of the range involved a three day 'real world' trial where I used the products as substitutes for my usuals. I've also been spritzing and embalming myself as I write this review to confirm my initial impressions. The study is now rose scented. 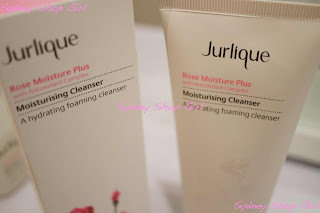 this is a foaming cleanser for those of you who like squeaky clean skin after cleansing. rinses off completely after use, I found it easy to use in the shower - isn't that where everyone washes their face whilst waiting for their hair conditioner to do its thing? I sprayed this directly onto my skin and was then supposed to press it into my skin which I found a bit of a challenge to do evenly. Spraying onto hands and then applying may result in a more even application. it did take a while to soak into my skin, quite a different product to my usual toner. a serum with renewing properties that contains organic Black Elder and Licorie, also meant to help even out skin discolouration. I'd classify the texture as balm, it does take a little effort to blend into skin dampened by the Rosewater Balancing Mist. when left to dry, I could feel that my skin was smoother after applying it. 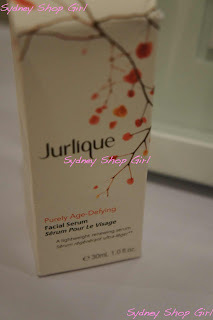 It's getting pretty cold and dry here in Sydney and just using the serum as a night time moisturiser could be an option for those with less dry skin rather than having to add a cream on top. this is quite a heavy cream that contains antioxidants but no SPF. I've been using it as a night cream over the serum. a little goes a long way and that opulent rose scent lingers pleasantly. it does leave a little residue after application so I haven't been using it during the day because I often use tinted moisturiser and loose powder and wasn't sure how this would all look together. my skin did feel plumped in the morning after sleeping in a cloud of rose scented face cream. it was very clear from the packaging what the ingredients were, what the benefits of the product were and how to use them. texture wise, the products are heavier than what I am used to. It's worth allowing a little time between applying the mist, serum and cream for example to allow each to be absorbed. The products featured in this review were kindly provided by Jurlique, Australia and I thank them for their support of this blog. 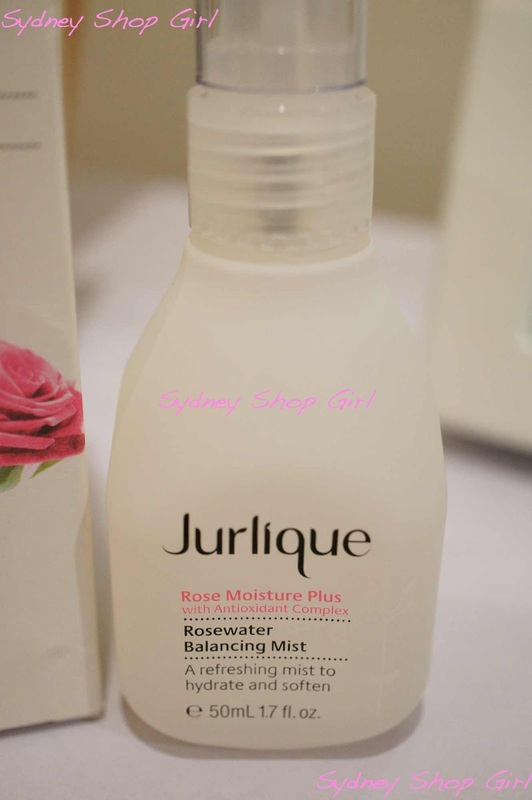 I love rose water, it is very popular in France and well known for it's smoothing property. Great review SSG, it have been fun reviewing these, lucky you! I am looking forward to comparing thoughts. Thankyou for the review. The new packaging looks great. I've just started to use the rose mist again after 4+ years and I love the fragrance. It's expensive but I get a discount at my chemist so think it's worth it.